Lamoyne Elizabeth-(Jim Hedgecock-2018)-Sdlg. 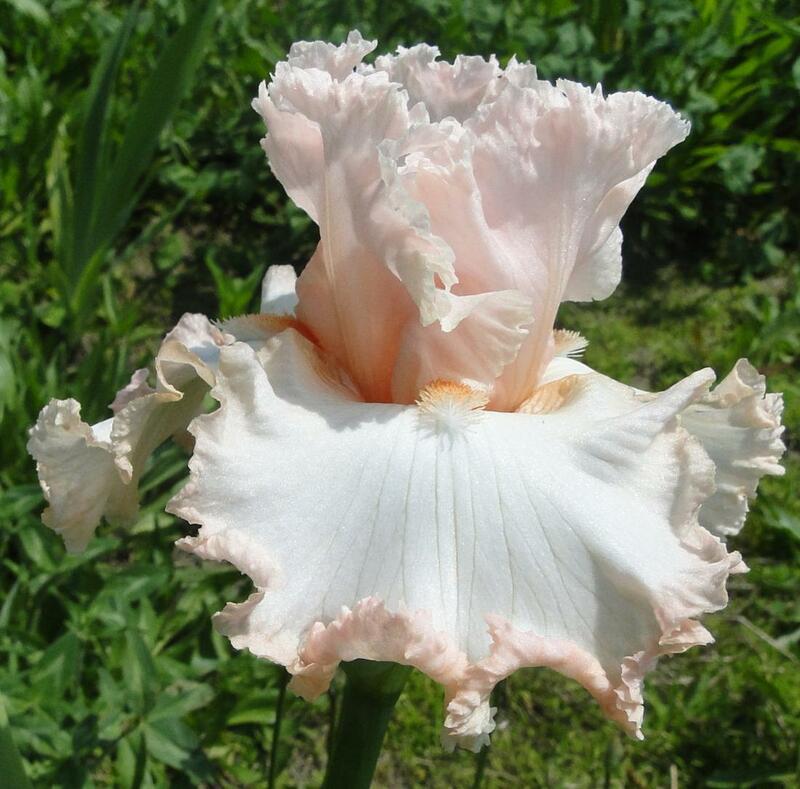 GG-7-Tall Bearded Iris-Medium Late Bloom Season-Luscious standards are laced and ruffled pale pink with slight orange rays at the midribs. Wide, laced and ruffled falls are pale pink with inconspicious orange lines at the hafts. Beards are white at the end turning to white with orange red tips. Jim says it will be very hard to ever hybridize a better pink. Superb stalks and bud count. Happenstance X Carol Dean.